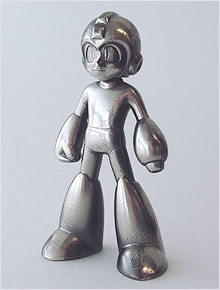 Over at the Rockman 20th Anniversary hub, Capcom has recently unveiled a beautiful metal Rockman figure. What a lovely anniversary gift! So, what about us who aren't residents in Japan? How can we purchase one of these beauties? Recently, Play-Asia has sold numerous 20th Ann. goods, so chances of them selling the figure are quite high. We'll see what happens. Amazon is currently taking preorders for an english version of the "Ryuusei no Rockman 2 Wave Command Cards Perfect File" (pictured on the right) under the name "MegaMan Star Force 2 Wave Command Card Kit" by Prima Guides. The book will retail for $14.99 and will coincide with Sf2's ship date. It's really official now. Wave Command Cards are coming our way. A very small update from the Ryuusei no Rockman 3's teaser site: a new wallpaper! Joy! The wallpaper depicts several pieces of concept art meshed together, nothing too fancy. Kinda nice. Maybe one of these days we'll actually get to see what the game looks like. Makes you wonder why Capcom is slowly but ever so surely revealing the game. Is RnR3 going to be that drastically different? Japanese Rockman fansite DASH Daibouken has provided the interwebs with some nifty plot details from "Rockman DASH 5 Island Adventure", the first "true" DASH game in eight years. The basic plot involves Rock and co. traveling to five "ancient" islands looking for rare treasure. However, the Bonne family wants in on the goods and will do whatever it takes to retrieve the treasure first. Along the way, Rock meets up with familair faces such as Denise and faces off against some memorable foes. The story reaches it's climax when Rock and Roll learn of the origins of Refractor development. Upon searching the island known as Ulakoi, Rock and Roll discover hundred year old equipment built by the Ancients, that contains the ability to create Refractors out of volcanic magma. Believing they have found the solution to the energy crisis, Roll quickly discovers that the equipment is far too complex, and thus she can only create small Refractors. Rock and Roll conclude that the Ancients were far more advanced than the current civilization. A very interesting plot indeed, however there is plenty more where that came from. Check out DASH Daibouken for more! Till this day, I still wonder why Capcom chose to not develop RMD5IA for the DS or PSP. Sure, cellphones are all the rage in Japan land, but what about us poor Americans? Where is our DASH love? One of the most heated debates among RM/MM fans is the "R&F is RM9" hoopla. Although Capcom classifies RM&F as a side story, some people just won't give in. Tonight, I shall put an end to the argument. There you have it, RM&F is not RM9. End of story. One of the big problems in the big wide world of the Rockman universe is the large amount of sources, some of which contradict one another. How do we determine what is considered truly canon, non canon and pure fanon? With well over a hundred games, countless source books, drama tracks and manga, something has to be done in order to chronicle what is and what isn't canon. 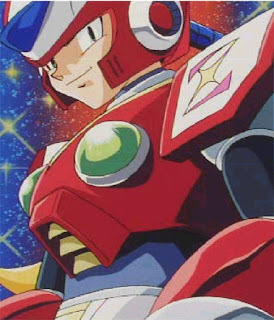 I propose that as a fan community, we invent a simple and effective system to organize the Rockman lore to easily identify what is and what isn't canon, a la the infamous “Holocron” system. The core canon, what has been established within the games' continuities. TIER 1 is top priority and is used to evaluate statements made in the lesser TIERS. Information established by official sources such as source books, drama tracks and views expressed by the franchise's contributors (EX: Inafune san) TIER 2 is when things get a little contradictory and must be evaluated if they do/don't retcon information already established in TIER 1. 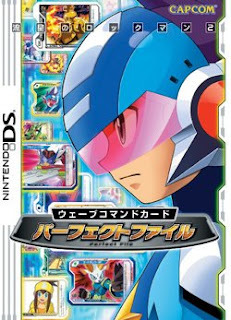 Games such as Irregular Hunter X and Rockman Rockman fall into TIER 3 by default. This rule of thumb system can be implemented for use on forums and the likes to have more organized discussions and hopefully aid others when putting together Wiki articles. God knows how many times fanon has found it's way into the Wikis. Capcom Sees Film Industry As Easy Money, Future Franchises To See Theatrical Adaptations? Capcom is no stranger to the movie industry. With three Resident Evil films and a few Street Fighter films under their belt, Capcom thinks its time to bring on the heat. Bloomberg is reporting that Capcom is currently in talks with Hollywood film studios to produce films based off of their numerous franchises. "We are in the process of working out contracts for several offers we received at the Cannes Film Festival last week and hope to make an announcement soon,'' Tsujimoto said in a Bloomberg Television interview broadcast today, declining to provide specifics. "If realized, the projects will have a big impact on the game and movie industries.'' "
Capcom's strategy is to emulate the success of Marvel, who have adapted their more popular comic franchises into big blockbuster hits. 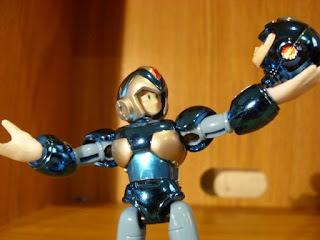 Possibilities of a theatrical Rockman film? Maybe so, but we've already discussed why that would be a bad idea. Hot off the presses, Coro Coro Comics brings us our first "official" look at RnR3. -As hinted from the teaser site, Noise or rather "Noisy Waves" will be the theme of the game. Noisy Waves offer a great power that could potentially destroy global networks. 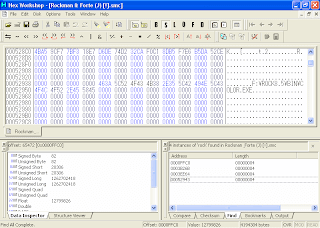 -Noisy Waves will be utilized in a similar matter to Dark Chips/Power from EXE4,5 and 6. -Battle System will be overhauled, Rockman will fight in different styles when affected by Noisy Waves. That's all for now, stay tuned for the inveitable teaser site update. UPDATE: I've been informed that the screenshots are not necessarily from RnR3. The screen shots on the right is a flashback from RnR1, while the ones on the left are from RnR2. It is assumed that the large screenshot is from RnR3. Real Life Net Navis: No Longer Fantasy? Yahoo! News is reporting a unique technological breakthrough in computer A.I. Through the magic of "Second Life" technology, users can have their own "thinking" personal assistant ala a Net Navi. A very interesting article, I highly recommend checking it out. Thanks Oldmanclayton! It's no mystery that Rockman isn't the cash cow he use to be. The past three years have been a troubling time to be a fan. With each game selling worse than the last, the looming fear of Rockman fading into retirement draws closer. Regardless of what the numbers say, Capcom isn't ready to put the Blue Bomber down just yet. The first head honcho, "Nique" assured me that the franchise will NEVER be canceled. In fact, not a single day goes by without Capcom discussing how to return the franchise to its "roots." They plan on keeping the franchise perpetually alive. Reassuring, right? It gets better. I was then redirected to CoJ's Yuji Itou, head of strategy and marketing. Itou san was extremely happy to hear that an American was concerned about the franchise's well being, and stated that Capcom is currently in the process of developing new strategies to "revive" the franchise. So, rest assured. Rockman isn't going anywhere. The first of (what I hope will be many) Mega Man X Command Mission voice actor interviews is here! I'm kicking things off with Caitlynne Medrek – the voice of fan-favorite Cinnamon. Protodude: When did you start acting? Caitlynne: I started acting when I was 12 - In grade 5. My very first role ever was TOTO in The Wizard of Oz. Haha. PD: Growing up, did you ever hope to one day become an actress? C: Yes, I started dancing at a very early age, and was OBSESSED with the stage - so I then started dreaming about Broadway of course and kept on going where ever the auditions took me! PD: Is it hard to balance acting and your social life? PD: Do you have any specific actors or actresses that have inspired you? C: SHIRLEY TEMPLE! She is my absolute idol. I also LOVE Tom Hanks, and of course Zac Efron, and Claire Danes too! PD: You've done a lot of voice overs in the past, what got you into that position? PD: You voiced the character "Cinnamon" in the video game, "MegaMan X: Command Mission." Generally, is it harder to voice a video game character such as Cinnamon? C: Games are ALOT more difficult and tedious, because we get pages and pages of dialouge that are just tiny little reactions, like the umphs, and hits, and there are SO many, and you have to do 3 versions of each, and MAN, it is always a loooong session. PD: When recording, do you sit along side your fellow voice actors? PD: Do you have a favorite of all the characters you've voiced? C: I really loved Pan, and I really love Miu in "Strawberry Marshmellow", she was so fun and I think the most alike to me. I also did a show awhile back, that seem to have gone MIA, it was called "Tomato Twins" and that show was AWESOME and sooo fun! PD: Which do you prefer, acting or voice acting? C: I love them both, they are very different, its hard to decide. I love the thrill of the live audience feeding you with all this amazing energy, and the lights and the applause, but hearing yourself on tv, is FREAKY, but exciting too! PD: Finally, for those aspiring to become an actor or a voice over artist, any words of wisdom? C: Dont stop trying, get an awesome, good quality demo made. Be persistent and show them how much you love doing what youre doing, be friendly and be confident, thats about all you ever really need! Interestingly, this copy of the book stands out from the rest. The logo on the dust cover has a metallic effect, followed by a new text layout on the actually cover of the book. Also, the page count is way off. This version contains 156 pages compared to the 336 page count of the "normal" edition of the book. Is this a second edition of the book? Or a knockoff? If you're desperate for a copy, then by all means purchase this. Personally, I'd approach this item with caution and wait it out, but I'm not you! UPDATE: It's come to my attention that the text of the book is Chinese, meaning the book is no doubt, a knock off. Save your money. After countless delays, it appears that 'MegaMan Zero Official Complete Works' is finally making its way stateside. Capcom is now taking preorders for a May 28th release. Those eager to take a peek at the book's content can head on over to The MegaMan Network for a few preview pages courtesy of UDON Entertainment. Can it get any better? Yes it can. UDON has indicated that one reason for the recent delay was "last minute" decision to encase the book in a special foil cover. Awesome. So I had some sit down time yesterday and thought up of a few things that really grind my gears about our favorite franchise. -Metools/Mettaurs/Mets, have been annoying us for twenty years with their ability to deflect attacks, only to be destroyed when they peek to see if we have let our guard down. The things are freaking invincible. Why hasn't their technology been implemented into other foes such as Robot Masters? Surely a brilliant mad scientist such as Wily would have realized this. -Does anyone ever recognize Netto as a hero? The kid saves the world from disaster, but his efforts are forgotten in the following sequel. To make matters even more awkward, he's never rewarded. Where's my jumbo check? -If you're an "animal" Repliroid, chances are you're going to be an Irregular. When have we ever come cross a animal Repliroid that has not turn out to be evil? I had high hopes for Magma Dragoon, but that went down like a lead balloon. Love MegaMan? Love Kojima's Metal Gear? 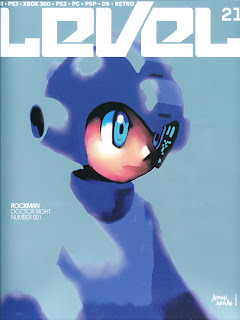 Then most likely, you'll enjoy Persona's unique take on the MM universe: "MegaMan Solid." Don't you miss the days when we had some actually official news? I know I do. Instead, we've had to make due with a boatload of rumors, and today is no exception. For your reading pleasure is a collection of numerous rumors from various sources. Rumors sent in by "Joe"
-Capcom will be releasing a bundle pack on the PS2 consisting of "MegaMan Anniversary Collection", "MegaMan X Collection" and some sort of "special DVD." Apparently, Game Crazy stores are listing this set in their computers for a release date in November 2008. Rumors sent in by the infamous "Anonymous"
-Anon confirms the existence ZXE (ZX Extremus). Will be released after RnR3. -ZXE will be a prequel/sequel to ZX. Players will take on the role of either a young Prometheus or Pandora. -The beginning of the game will deal with the lives of P&P before they became Rockmen. -An hour or so into the game, the story then shifts to the time gap between ZX and ZXA. P&P are tasked with finding potential Rockmen who can surpass the abilities displayed by ZX. These potential Rockmen are the bosses of the game. -Anon claims to have seen the game in it's earliest form. Says it looks almost identical to ZX and ZXA, however the environments of the game are very "lively." -Capcom is kicking around the idea of a unique game play mechanic called the 'Dynamic Weather System' (DWS). The weather throughout the world is always changing at a random pace. Weather will affect the layout of the stage (ala Zero 4) and the behavior of bosses and enemies and even the performance of P&P. -"Dreams" will be the main theme of the game. P&P will be haunted by numerous dreams (and some nightmares) as the story progresses. Apparently, these are actually playable events. -The final boss of the game is a "surprise." -Unfortunately, it appears ZXE will not continue the story after the ZXA. -A preview of the events in the game appear in the newly released ZX Gigamix soundtrack's drama tracks. Guess what? He's right. -''Extremus" may not be the final name of the game. This is something you have to see, or rather, hear to believe. Various video game and anime theme songs matched with the sound effects of Super Mario World. A cool video in general, however things get really awesome at 6:07 when Dr. Wily Stage 1 and 2 (RM2) jumps into the mix. Thanks for the tip Toby! Sometimes, video game themed tattoos can be a beautiful thing, especially when you got Rockman branded onto you. However, down the road when you're old an decrepit, you might just take back what you said about not regretting getting it. However, there is a small and inexpensive alternative: Temporary tattoos! Up for bidding is, what appears to be, official MegaMan X temporary tattoos. Awesome. And the best part: They don't last a lifetime! C'mon, who doesn't want to have a tattoo of Volt Kraken (aka Squid Adler) on their rear end? Where's The Virtual Console Love? The Wii has been on the market for at least two years, and yet neither the US nor Japan has seen a VC release of any RM/MM title. Don't point your finger at Capcom, gaming behemoth Nintendo is the real villain here. According to Capcom's Public Relations Director Chris Kramer, Capcom is only responsible for licensing the rights to their games to Nintendo. Thus, it is up to Nintendo whether and when MM/RM titles get released on the Virtual Console. Rockman isn't the only one getting held back from VC releases. Countless other titles from both first and third parties have yet to see a VC release. Chrono Trigger anyone? It's possible Nintendo has some fancy schedule thing, releasing certain titles only at certain times. Then again, maybe we're just getting screwed. RnR3 Site Updates, With Sound! Not much has come from the RnR3 teaser site, other than a wallpaper it's very, blah. However, the site has received an update, sort of: Sound! Yes, each click leads you to various beeps and bloops. How cool is that? According to PRC reader, "Freddy" a hidden wallpaper can be unlocked by clicking every square inch on the main page. Doing so will lead you to a hidden wallpaper described to portray Rockman striking a pose behind a large looming foe. I'm too lazy to try this out, so give a holler if you find something nice. Instead of pestering the fine folks at GameFaqs, check out this really great visual Rockman EXE 4.5 tutorial. Inafune's Policy Kills Cataclysm Theory. Some people just won't give it up. Regardless of the various pieces of evidence, many still insist to believe in the cataclysm theory. Where is the common sense? The subject of a violent massacre is way too dark for the franchise's target demographic. "Protoman stopped by to check-in on everyone at Light Labs again. As he entered the building he was met with a horrific sight. Auto was just sitting there on the floor... dead. The remains of Beat were shoved down his throat. Roll was still lying there next to him, totally fried." Lolz. Honestly, do you believe something like that could have happened? No. "The reason that Super Adventure Rockman gets shafted in these collection books is partially explained. Its subject matter was considered too dark for the younger children the game was intended to be marketed for. Inafune cites the scenes with the UN helicopters being destroyed as bending the previous policy towards not showing human beings coming into serious violence or dying in the original series (sure there's Wily, but his violence tends to be comical, plus he's the villain). Also, the scenes portraying Roll dying and the planet's destruction are thought to be too extreme for the younger audience. "